Indian Administrative Services (IAS) is the most prominent examination that is held in the country every year and lakhs of students appear for this exam every year. It is only by reading good and worthy books and adopting productive habits that an IAS aspirant can crack this exam. 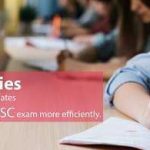 Keeping the worries of many such aspirants, top IAS coaching in Delhi is providing here brief information about the books that must be read to clear the exam in a go. Majid Husain’s “Geography of India” and “World Geography” must be read and committed to the memory thoroughly to have higher level topics on this subject on the tips of your fingers. To go through the geographical location of the world countries, Oxford’s Atlas which is quite comprehensive with detailed maps. “Certificate Physical and Human Geography” by GC long is also an influential book of the physical geography of the world. : RS Sharma’s ‘India’s Ancient Past’ is the book that you should lay your hands on because it is having a thoroughly researched study about the country’s ancient civilizations and other practices. Read Satish Chandra’s History of Medieval India to know about the medieval story of the country. Bipin Chandra’s History of Modern India provides insight into the freedom struggles and various revolutions. Read Indian Art and Culture by Nitin Singhania to know about the art and culture that existed and still prevails in the country. : To about the economic conditions that the country has dealt with so far and the situations that still affect the present scenarios of the country’s economy, read Indian Economy by Ramesh Singh. Datt & Sundaram’s Indian Economy is also a good book that can be read for some additional facts and figures. Also, make sure that you are well versed with the economic survey that is published every year. To arm you with the constitutional procedures and amendments, read Indian Polity for Civil Services Examination by M. Laxmikanth. In addition to this, one can also read D. D. Basu’s book on the constitution to have a deeper knowledge of the same. From the point of view of IAS syllabus, these books are enough for Indian polity. For environmental studies, IAS aspirants should lay their hands on Environmental Studies: From Crisis to Cure by Rajagopalan. Another book that can be read is Environment for Civil Services Prelims and Mains by Khuller. Both the books are equally good and have an edge over each other in terms of the information and its unique interpretations. The journey does not end here. It is of paramount importance that you should thoroughly go through the NCERTs of all the subjects up to 12th class before going through the books mentioned above. NCERT books are a must to lay a strong foundation for all the subjects and it will furnish you with all the basics of these subjects. Also, all the books only provide information about the incidents that transpired back in some time. To keep yourself updated with the contemporary issues and happenings, go through the newspapers and journals regularly as it will prepare you better for the battle.